If you’re in possession of damaged banknotes, you might find that shops and other vendors turn you away when you go to use it. Thankfully there’s a method in place with the Bank of England that allows you to reclaim the value of the notes. Read on to find out where to send damaged banknotes in the UK and how to get the Bank of England to access your claim. In order to reclaim the value of the note you’ll need to complete a Mutilated Notes Claim form. Once complete you send it to the Bank of England at their Leeds address shown on the form along with the damaged currency. If the note is unable to be sent through the post because it’s contaminated to the point that the Royal Mail won’t accept it, you’ll need to get in touch with the Bank of England to ask how the note is transferred to them. You’ll find the appropriate contact details at bankofengland.co.uk. The Bank of England proudly claim that most applications are dealt with in days. That’s despite them receiving an average of 23,000 application a year for as much as £1.1 million. In order to get the value of the note back, you’ll need to be able to present at least half the banknote. The mutilated, contaminated or otherwise damaged note will be destroyed and you’ll receive the full face value of it. Payments are made through electronic transfer directly into the applicants bank account. If for whatever reason you don’t have a bank account, you’ll need to name an alternative bank account holder who will receive the funds on your behalf. 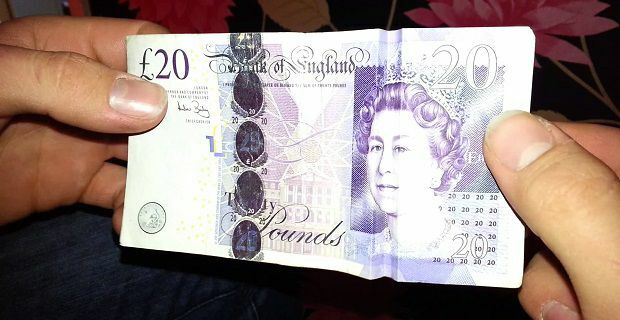 For more information on the subject and for anything else you need to know about banknotes like how to spot fake notes, head to bankofengland.co.uk. RBS customers charged for using rival ATMs.